First of all, I did use the little icon to upload the attached file, but I'm not able to see where it is. Hence, I've attached an image. Sorry. I just Ran Live Update on two Win 7 machines. It updated both to 22.17.0.183. One had been running Norton Security, the other Norton Internet Security. The former is OK. The latter now tells me I'm running Norton Security, too. The problem is with this machine. I looked around to make sure all the settings were OK, but when I looked under Firewall, I got quite a shock. As my title says, on this machine, under Settings -> Firewall, the content windows for Program Control and Traffic Rules are empty! I know they (or at least Program Control) was working OK because the other day I blocked CCleaner. Anyway, I went online to my account and was given the opportunity to download and reinstall. I did this, but it didn't fix anything. I then used Remove and Reinstall. That reinstalled the earlier version (22.15.1.8 or whatever the latest previous one was). It didn't fix the problem. I then ran Live Update again; it re-updated to 22.17.0.183, but both windows are still blank. Otherwise, the program seems to be running OK, and I assume it's doing it's job. However, this is not the point. Just an update: I ran Live Update again, and it updated on both computers. The version number is the same. The machine that was OK, is still OK; the machine with the problem still has it. By the way, on the Program control (on the "broken" installation), I clicked the "Go" button to add programs, but it didn't do anything. I got help from Norton Support, and they fixed it via remote. Good job! Any idea what Norton Support did to fix it (if you do not mind sharing that info)? Sharing the fix might be helpful to others. Glad you got it sorted. First of all, let me repeat: The person did everything remotely. My only participation was to give permission to proceed at a couple of points and log into my Norton account, I assume to check my serial number. I contacted the person through the Support site and after logging into my account, I was given the opportunity to "Chat Now" or whatever. I waited 3-4 minutes till the agent connected. I copied and pasted a copy of my message to the Forum for him. 1. He uninstalled the product using Norton RNR, but hit Cancel when it was time to reinstall. 2. He rebooted my computer, and when it restarted, he simultaneously removed several keys from my (Win7) registry. I don't know what tool he used to identify them, but all were there in one window. He just hit "Delete" or whatever. 3. He then reinstalled the product and subsequently did several "Live Updates" to get it up to date. 4. 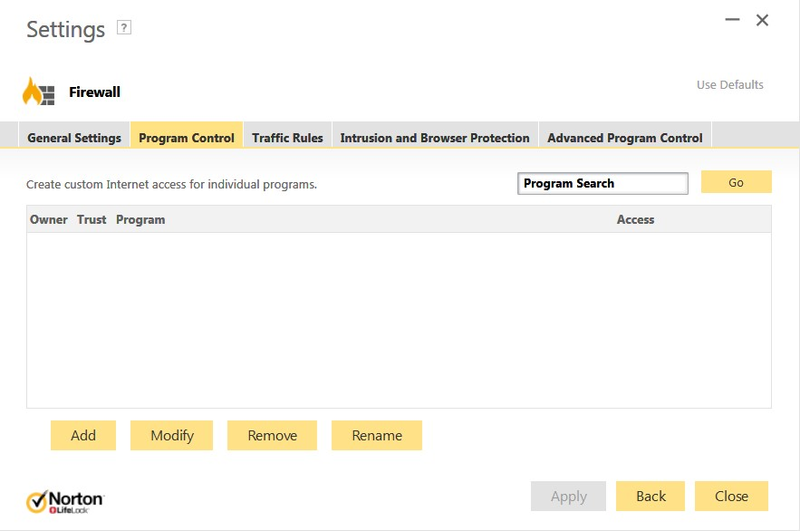 I guess it was at this point I had to log into my Norton Account; as I've written, I guess it was to get my license. 5. The whole process took about 45 minutes or so. 6. I've just turned on that computer and ran Live Update. It worked OK, so I guess he did a fine job. I asked him if he had an idea about what had caused the problem; he said no. The guy's screen name was A. John Silvester. This was the first time I'd ever contacted Norton support. As I've written, the person seems to have done exactly what he was supposed to do, and I extend my sincere thanks to him. Thanks for the excellent feedback, it may assist others and glad you had a great experience with Norton support.